We’re pretty busy around here. Despite the fact that over the past year we have gone from a family of 6 down to a family of 4, the chaos continues on. We each have our own responsibilities, our own activities — you would think after 20+ years of marriage that Brad and I would have solved the mystery of time management, but no! It’s a lot to juggle sometimes. I think most families are like that, no matter their size. We’re all just going from here to there, every day, nonstop. Because we have to… or, really, just because we choose to. We quickly fill our calendars with the things that consume our most precious resource, our time. And often we do this more quickly than we take the time to fill our hearts with the very One who created us with a need for rest. Busyness is like an epidemic. It’s prevalent, wide spread. Now, I’m not arguing the sabbath law here, or the correct day for observing the sabbath. We can have our doctrines and opinions on whether or not a sabbath is still “required” for the New Testament church, but that isn’t what is on my heart. 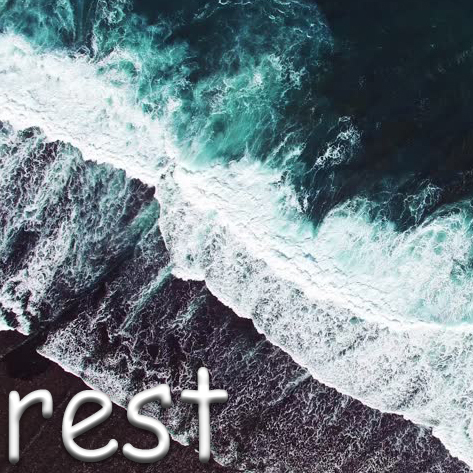 Today I am talking about taking the time to rest. The truth of the matter is that we all NEED rest. We all NEED refreshing. We all NEED renewal. The sabbath fills those needs (and more) and so – law or not – the sabbath is good and the sabbath is Holy. When was the last time you slowed down? Not just slightly pulling back from the accelerator, but when did you really s—l—o—w down and take some time to rest? I mean, not to dictate your sabbath rest, but did it include Jesus? Because your time in front of the tv, that may not include Jesus. Your time consumed by your cell phone, that may not include Jesus. The time you spend exercising, it might not include Jesus. When you were sitting in that seat at church, it may not have included Jesus. And it’s not that Jesus can’t be a part of those times. He can. We trust that He is in the rest and the busyness, regardless of if we’re acknowledging Him (ouch!) But did you SEEK Him? In your weariness and need for rest, refreshing and renewal, are you just collapsing in the activity of “rest” or are you pressing in and pursuing the true renewal in Christ? You’ve got one more day this weekend. And I hope you do, I hope we all do.